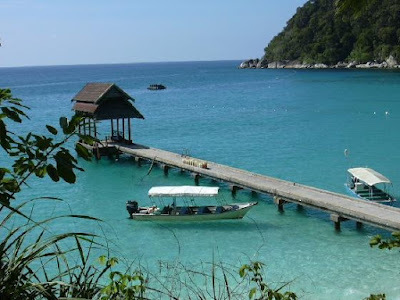 Pulau Sibu is a group of islands located off the east coast of the state of Johor. The islands here are not as developed as the more popular destinations such as Redang and Tioman islands. 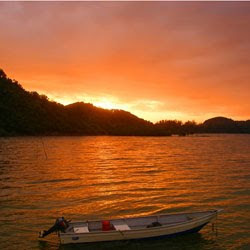 The Sibu archipelago consists of Sibu Besar, Sibu Tengah, Sibu Hujung, Pulau Kukus, Pulau Tinggi, Pulau Mentigi and Pulau Lima. These islands are located 3km to 4km away from the mainland and usually takes 30 minutes by speedboat from Tanjung Leman Jetty. These islands are ideal for a time of private holidays and the tourists that come here are mainly from Johor and Singapore. You will be able to enjoy the sunset, the coral reefs, marine life, the sandy beaches and the crystal clear water while holidaying here. 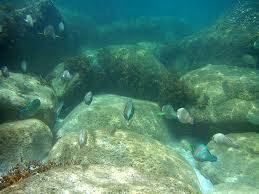 These islands were gazetted as a Marine Park in 1993 to prevent the excessive depletion of the marine life here. A conservation fee of about RM5 is charged to all visitors who visited these islands. Wake up early and enjoy the sunrise at Pulau Sibu Besar. However, fishing is allowed a two nautical away from these islands. The best time to visit the islands are during the months from April to September where the sea is calmer. During the North-Easterly monsoon season from November to March, the sea will be choppy and hence there is not much sea activities that you can do. Some of the resorts will be closed during this time of the year but some will remain open. This island has a few resorts and is 7km long and 1km wide.It is one of the largest island here. All the resorts have their own generator to cater for the electricity needs. The most recent luxury resort which was opened in April 2010 is Sari Pacifica Resort and Spa. It has a swimming pool, spa and is in the process of setting up a dive centre. All the rooms have air conditioning, jacuzzi, flat screen television, kettle and electronic safe. Sea Gypsy Village Resort has its own dive centre, chalets, beach bar and is popular with expatriates. The resort is run by a British. 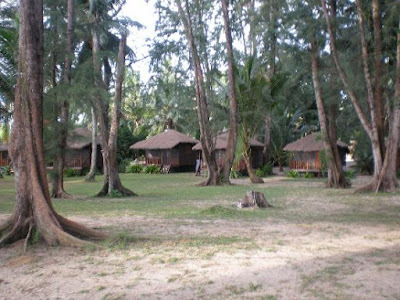 Sea Gypsy Village chalets at Pulau Sibu Besar. This resort also has a diving centre and is popular with backpackers. Other resorts are Sibu Coconut Village Resort, Kambau Bay Beach Resort, Rimba Island Resort and Twin Beach Resort. Here are some of the activities that you can do. 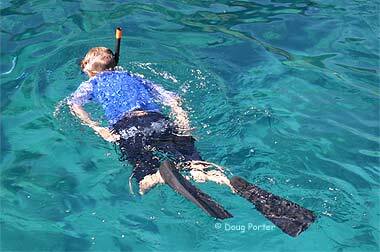 When snorkeling or scuba diving, look out for the varieties of marine life. A study of these fascinating creatures that we hardly encounter will make our activity more rewarding. Pulau Kukus is uninhabited and is a good location for you to go for 1-2 hours of snorkelling or diving. This island is about 20 minutes by speedboat from Sibu Besar. You can also snorkel near Rimba Island Resort as there are some nice corals here as well. You may be able to spot the following fishes. The crystal clear water at Kukus Island. This is a good place for snorkeling. Ask the resort you are staying to take you island hopping. You may want to take a swim or snorkel. However, some islands such as Kukus Island and Lima Island are not inhabited and do not have any bathing facility. Sunrise cruise will be nice. If you are into canoeing or wind surfing, you will enjoy the windy and clear water here. There are dedicated kelongs that are built in the middle of the sea for fishing enthusiasts to stay and fish at the same time. The facility is basic. Ask the resort you are staying to arrange for you to go to the kelongs for an experience. The owner may even allow you to fish for a fee. If you are seriously into fishing, night fishing can also be arranged. Mackeral, sail fish, groupers, snappers and black marlin are some of the fishes that you may get. However, it may be costly as most of the time you may have to charter the whole boat unless there are other guests who want to go fishing as well. Sweat it out by doing a hike on the tropical rainforest. Wear a good hiking shoes and you will enjoy the greeneries, quietness and view of the island. Always inform the resort you are staying of your intention to go trekking and they will advise you what to do. Kampung Duku is located in Pulau Sibu Besar and is home to about 200 villagers who have been staying here many years ago. Take a stroll and visit this village. There are some shops that sell basic needs and food stuff. Take your time to unwind and have a drink while you are here. Some resorts still do not have telecommuncation tower nearby, hence your handphone will not work. You will be able to use your handphone at Kampung Duku as there is a simple communication tower here. Boats to the islands depart from Tanjung Leman Jetty. Most resorts will arrange with their guests on the timing of the boats. When you are doing reservation, ensure that you request for this transfer if it is not included in the room reservation. In addition to the boat transfer, there is a RM4 fee ticket that is charged for the use of the jetty. This cost is usually covered by the resort operator. The duration of the speedboat to the resorts is around 30 to 40 minutes depending on the condition of the sea and the location of the resort.